Improving the lives of all creatures by empowering people with the truth and knowledge about health. Debra is a Farmer/Rancher/Artist living on a small farm in Idaho. She has always had animals in her life and has pursued a lifetime of continuous education regarding animal health and human health. Before moving to Idaho, she and her husband, Kyle, lived in Texas. That is when they discovered Dynamite Products and wove them into their lives. Debra has studied nutrition, massage, stress point therapy and was practicing equine therapy in conjunction with her veterinarian in Texas. Her goal in learning about various modalities was to improve her own horses overall health and conditioning. Debra’s other passion is watercolor art. She studied art at Kendal School of design in Michigan, her home state, while pursuing a degree in business management and accounting. Art has returned to her life after many years in business management, training and development and personnel. 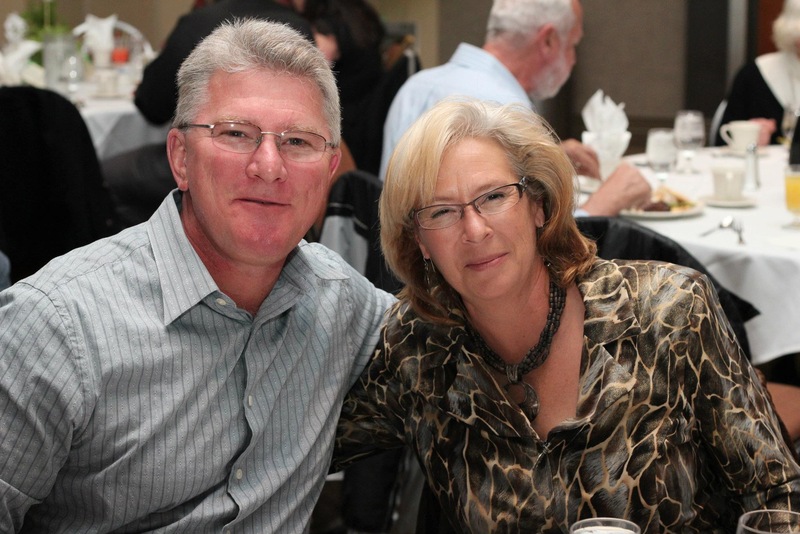 Debra and her husband “retired” and sold their business in 2008. She then redirected her efforts to bringing art back into her life as a business. She is a member of Idaho Watercolor Society, Western Art Rodeo Association and a juried member of Western Heritage Artists. Learn more about Debra’s farm by clicking here. I am primarily a self-taught artist; however, I was influenced by many exceptional artists as I was growing up. It wasn’t until later in life that I began to paint in watercolors. I invested time with a master watercolorist in Texas. He influenced my style and gave me the basics of watercolor principles. 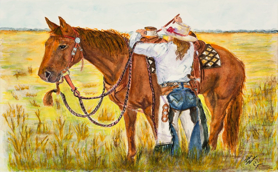 My watercolor subjects are influenced by western and ranching culture and often feature ranching themes. This is the lifestyle I grew up with and continue living today. I hope you will see in my paintings, glimpses of my everyday ranching life that includes the animals I love and the people I meet along the way. This painting titled,” A Girls Best Friend”, provides an example of how and where I choose my subjects. The reference photos were captured after a long day of branding, castrating and doctoring calves in our large cow, calf operation. I paint from real life events and experiences to capture our ranching culture. As you might suspect, horses are one of my favorite subjects. Summer Sickness? There is no time for that!